Achieving a good clinical trial design increases the likelihood that a trial will take place as planned, including that data will be obtained from a sufficient number of participants, and the total number of participants will be the minimal required to gain the knowledge sought. A good trial design also increases the likelihood that the knowledge sought by the experiment will be forthcoming. Achieving such a design is more than good sense—it is ethically required in experiments when participants are at risk of harm. This paper argues that doing a power analysis effectively contributes to ensuring that a trial design is good. The ethical importance of good trial design has long been recognized for trials in which there is risk of serious harm to participants. However, whether the quality of a trial design, when the risk to participants is only minimal, is an ethical issue is rarely discussed. 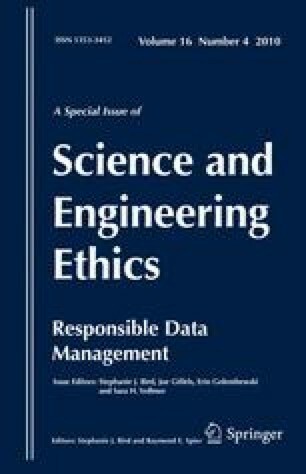 This paper argues that even in cases when the risk is minimal, the quality of the trial design is an ethical issue, and that this is reflected in the emphasis the Belmont Report places on the importance of the benefit of knowledge gained by society. The paper also argues that good trial design is required for true informed consent. Matchett, N. J. (2007). Frameworks. Center for ethical deliberation. http://mcb.unco.edu/ced/frameworks/. Accessed 15 October 2010. National Commission for the Protection of Human Subjects of Biomedical and Behavioral Research. (1979). The Belmont report. Office of human subjects research. National http://ohsr.od.nih.gov/guidelines/belmont.html. Accessed 15 October 2010. Office for Human Research Protections (first edition 1981; revised, updated, and expanded by Robin Penslar). (1993). Institutional Review Board Guidebook. http://www.hhs.gov/ohrp/irb/irb_guidebook.htm. Accessed 15 October 2010. World Medical Association. (2004). Declaration of Helsinki. Office of Human Subjects Research. http://ohsr.od.nih.gov/guidelines/helsinki.html. Accessed 15 October 2010.